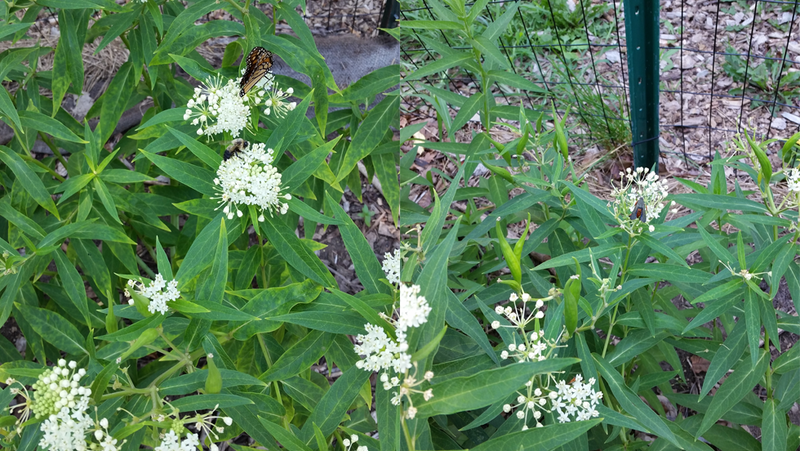 A Monarch Butterfly (Danaus plexippus) found the Swamp Milkweed plants (Asclepias incarnata) in our Monarch Habitat. 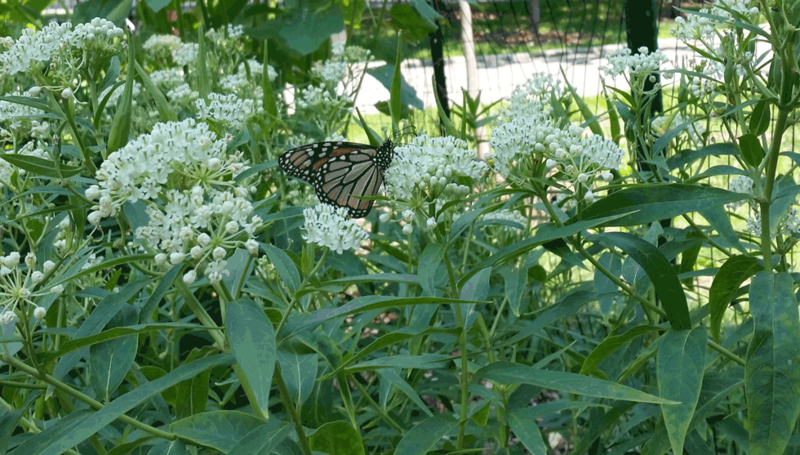 Two of the Common names for this variety of milkweed is swamp milkweed and rose milkweed. Milkweed is the host plant for the Monarch Butterfly. This means that the Monarch will only lay its eggs on a milkweed plant and the monarch caterpillar eats milkweed exclusively. If milkweed disappears from the Monarch’s ecosystem the Monarch Butterfly will cease to exist. It will go extinct. It is very close to extinction with its population reduced to less than 20 percent. Friends of Brower Park has built this habitat to help save the Monarch Butterfly from extinction. We are harvesting our own milkweed seeds and distributing them to the community to increase the number of plants available for Monarch reproduction and nourishment. The root causes of the Monarch’s loss of population is urbanization, loss of 40% of prairie land that is planted with GMO corn and soy crops that are resistant to herbicides and pesticides, and climate change. Monarch Watch is tracking the Monarch Butterfly population numbers. To learn more about the Monarch Butterfly and what can be done to help the Monarch survive visit their site. The Brower Park Monarch Butterfly Garden is a certified Monarch Watch habitat. Other sites to visit are: National Geographic; National Wildlife Foundation; Wikipedia and Kidzone for fun projects for kids from kindergarten to 6th grade. The Monarch Butterfly is sharing her Milkweed blossoms with a bumble bee and an unidentified gray-winged insect.